Every semester hundreds of students are admitted to OCCC as transfer non-degree seeking students. Students from the University of Oklahoma and University of Central Oklahoma are coming to OCCC to take classes because of time, location, and price. Jon Horinek, Recruitment and Admissions director, said an estimated 600 to 700 students per semester come here to take transferable classes. Ronald Hernandez, 20, a sophomore at UCO, is studying Health and Exercise Science. He drives twice a week to OCCC where he is taking Chemistry 1. “The reason I’m taking it at OCCC instead of UCO is because it was more convenient for my schedule,” he said. “I didn’t want to have class three days a week as well as lab hours. They weren’t convenient at all. Students sometimes feel more comfortable taking certain classes at OCCC rather than at universities. At OU and UCO, the classes are much bigger and are taught differently. That’s another consideration for Hernandez. 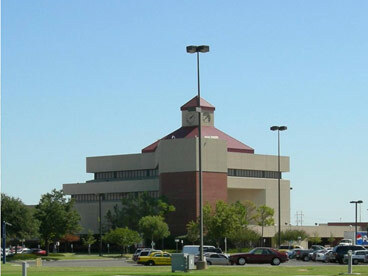 Students who are at OU or UCO have larger freshman and sophomore level classes and may be more interested in having smaller classes at OCCC, at half the cost. “You’re more likely to be taught by a full-time faculty member here, more likely to have a smaller classroom experience, and more access to labs,” Horinek said. Smaller classes enable the student to be in contact with the teacher more. If you have a question, you can raise your hand and your professor will be able to help you right away. But workload can be a problem, Horinek said. Students have to manage their time carefully in order to be successful. “I had to create a calendar with very important dates so that nothing surprises me and also so that I could stay ahead on my classes,” Hernandez said. Horinek said the reasons students come to OCCC are varied. “Students want to graduate as quickly as possible, and sometimes the scheduling at their home institution may not be as convenient as it is here, or their home institution simply runs out of space,” he said. To contact Matthew Ware, email onlineeditor@occc.edu.